The magical eye of the cat Chrysoberyl cat’s eyes is genuine rarities which are found only in a few deposits in the world, together with other varieties of chrysoberyl. One can hardly imagine that a gemstone could wink like the eye of a cat in such a remarkably genuine way. Is it magic, or Nature? And apart from that, what is it that causes this irresistibly beautiful show of light? Scientists have discovered that very fine inclusions, deposited in the stone, are responsible for this fascinating phenomenon. The incident light is reflected off them, so that a bright strip of light appears, running perpendicular to the inclusions, similar to the eye of a feline predator. When the stone is turned, this strip seems to glide away across the surface of the stone. In technical terminology, this phenomenon is known as ‘chatoyancy’, which comes from the French ‘chat’ (for cat) and ‘oeil’ (for eye). 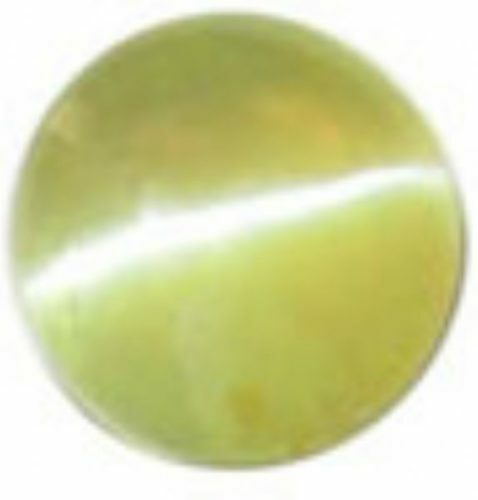 Whilst chrysoberyls lacking the cat’s eye effect are mostly faceted, cat’s eyes are always cut into cabochons, since only tall, rounded shapes render the line of the eye properly visible. 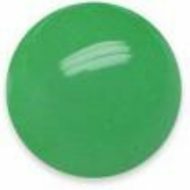 The chrysoberyl, with its hues ranging from honey-coloured to mint green, is a popular gemstone, and one which is esteemed by connoisseurs and gemstone lovers the world over. 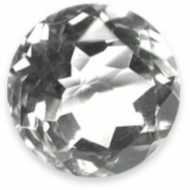 In its most attractive variety, the cat’s-eye, it is an extremely valuable stone for those in the know. 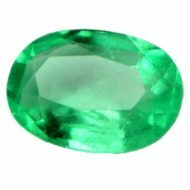 In general, the value of a chrysoberyl – as with other gemstones – depends on its quality, that is to say, its beauty, colour and attractiveness, the depth of the colour and its transparency. Anyone who wants to acquire a cat’s-eye of good colour and with a finely marked eye-line will be obliged to dig fairly deep into his pocket, for these gems fetch much higher prices on account of their beauty and rarity. When buying a cat’s-eye, you should be aware of this: it is important that the ‘eye’ has a fine line running right through it, and that it can be recognised clearly. In particularly good specimens, it seems to open and close when the stone is turned. Fine cat’s eyes should be of a distinctive colour and be as transparent as possible. The most popular ones are those of a beautiful honey yellow and those with fine green tones. Chrysoberyl cat’s eyes are among the most beautiful things that Nature has created. Again and again, they fire the enthusiasm of those who are looking for something individual and unique. Cat’s eyes are also well suited to being worn as jewellery by men. And without a doubt, many a man has allowed himself to be seduced by a beautiful cat’s eye too … . Cat’s Eye is Gem Stone of Ketu. Inside there is a shining band which moves when the stone is turned. This is a quick action Gem and restores lost wealth. Poverty and diseases vanish. It ensures victory over enemies and protection from enemies. By wearing a Cat’s eye one is be attracted by others. It grants philosophical disposition and activity of the mind. The native gets name, fame and wealth. He becomes calm and his anger disappears. He receives the help of relatives and friends. Enemies may bow to him. It works successfully in getting back the loan money too. It ensures the welfare of children. A childless person may be blessed with childeren. It ensures quick marriage.